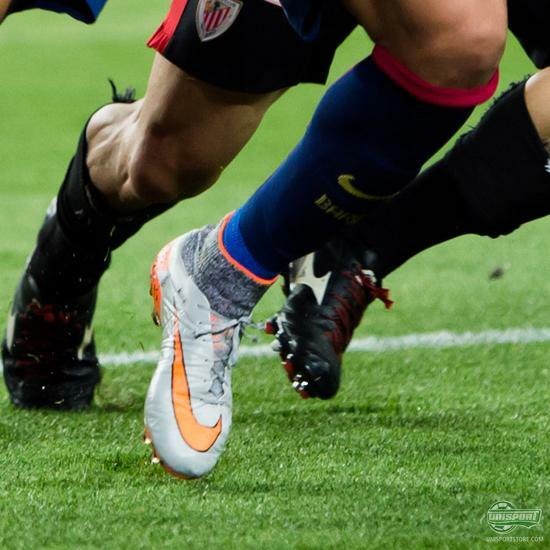 Neymar (Barcelona) - Nike Hypervenom Phantom II Wolf Grey/Total Orange/Black He left them at home last weekend, but cracked them out for Saturday's final against Athletic Bilbao. 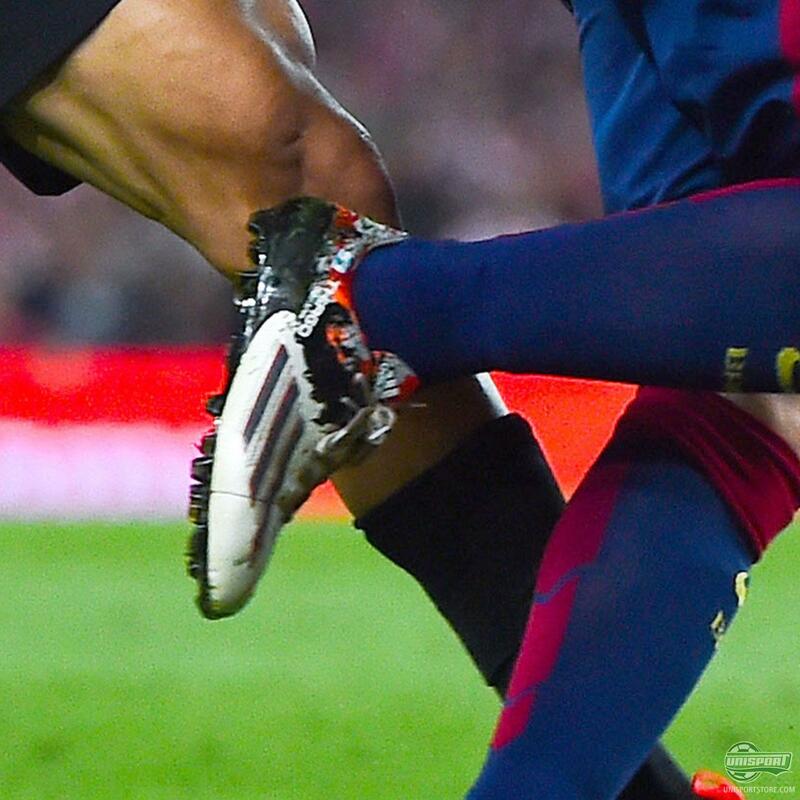 The vivacious and definitely deadly agile superstar Neymar showed off his new pair of Nike Hypervenom Phantom II and also managed to score a goal to celebrate their on field debut. 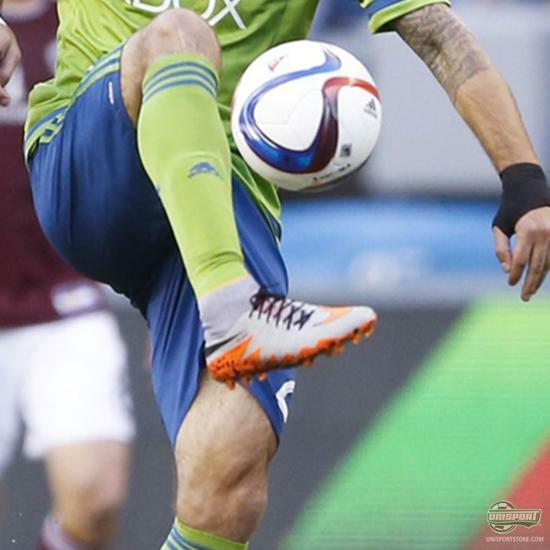 Clint Dempsey (Seattle Sounders) - Nike Hypervenom Phantom II Wolf Grey/Total Orange/Black Another player who showed off his new Hypervenom’s was Dempsey. ‘Deuce’ had however put a personal touch on the new boots, by replacing the lacing with a black variation, so it matches the swoosh on the back. It actually looks pretty sweet and we always love when players show that they care how their boots look. 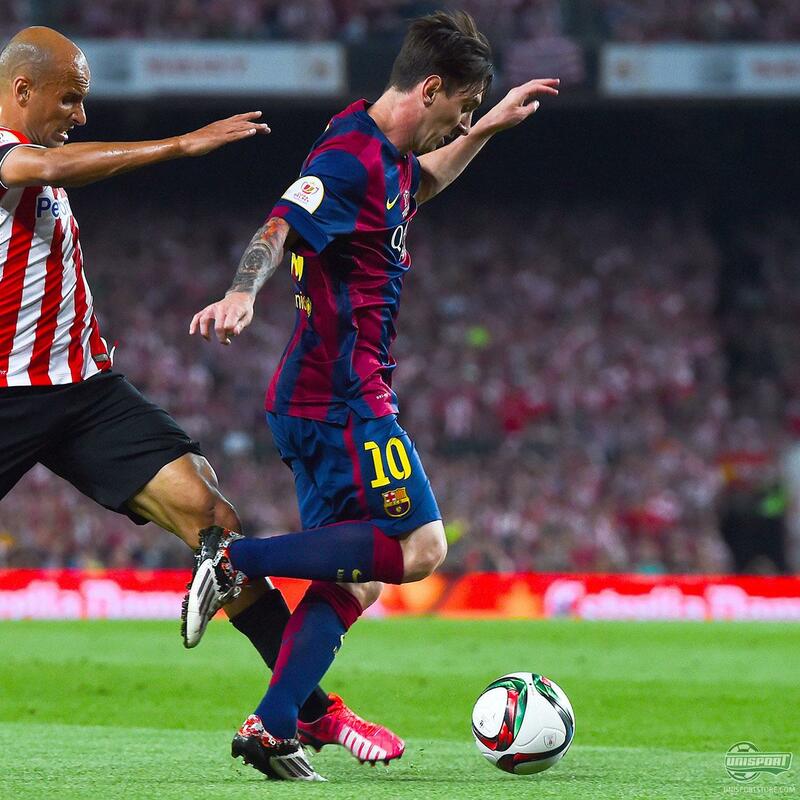 Lionel Messi (Barcelona) - adidas - Messi 10.1 White/Granite/Scarlet What a player and what a goal! He actually scored two goals, but the one we will really remember was the first. It will be the Argentine wizards last game in this boot and he capped it off nicely, with one of his best ever goals, which is really saying something. When Barca face Juventus on Saturday he will be doing so in his newly released adidas Messi 15.1 and just imagine the damage he will be able to do in a boot built so specially made for his needs. 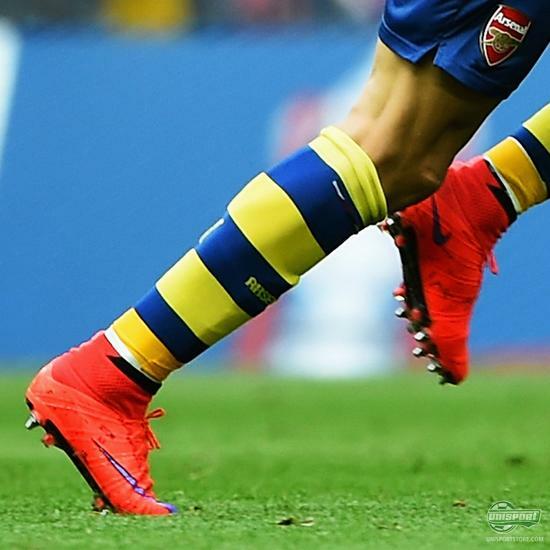 Alexis Sanchez (Arsenal) - Nike Mercurial Superfly Bright Crimson/Persian Violet/Black While on the subject of great players and great goals, worth mentioning is Alexis Sanchez. His thunderous strike really put Arsenal on the front foot in their FA Cup final clash, which they ended up winning in commanding fashion. The question is; which of the two goals was better - Messi or Sanchez? Jack Grealish (Aston Villa) - Nike Hypervenom Phinish Wolf Grey/Total Orange/Black On the receiving end of the Arsenal 4-0 drubbing was young Jack Grealish, who also had a new pair of boots lined up for the big occasion. Despite him playing a fairly rubbish game on Saturday, he is certainly one to watch for the future, and it is always entertaining to see him tempt fate with his miniature shin-pads and low socks. Maximiliano Moralez (Atalanta) - Nike Magista Obra Intense Heat/Blackout It looks like Moralez wasn’t entirely satisfied with how his Intense Heat Pack Obra’s looked and wanted to opt for something a little more toned down. He has been playing around with some boot dye in any case, but just to keep things a little fresh left the orange Dynamic Fit Collar untouched. Black and orange has always been a cool combo and he has done a pretty decent job here. Paul Pogba (Juventus) - Nike Magista Obra Custom This Sunday Nike unveiled the Silver Storm Pack and when we saw the new Magista Obra they looked somewhat familiar. They aren’t exactly the same, as Paul Pogba’s self-made version, but they are pretty darn close. Could Pogba have a future as a boot designer after his football days are over? 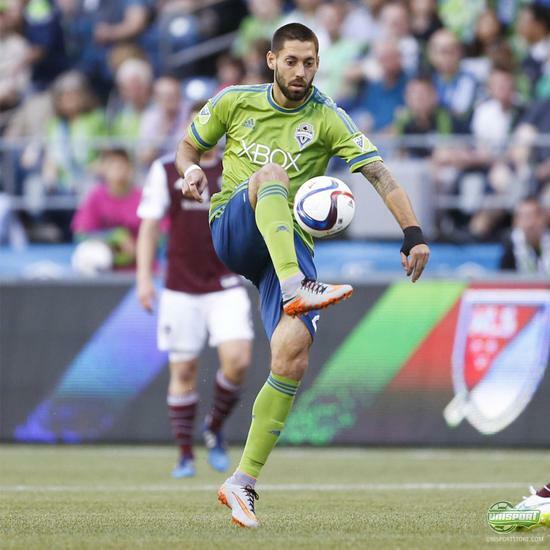 This rounds off this week's boot spots, with a couple of interesting picks there. Which of the spots is your favourite and did you see something we missed? Tell us on Facebook, Twitter and Instagram!